There are only a couple of weeks left in 2018. As the year ends, and we head into 2019, many of us in North Carolina are starting to focus on our New Year’s resolutions and the fresh year ahead. January is just around the corner and those homeowners who are soon planning a move to a new location need quality realtors. The best agents find the best solutions. Our Flat Fee Realty agents suggest buyers make 2019 the year brings success and little stress in planning a move. Remember, considering how to reach one’s goals makes them more easily achieved. Work with our experienced Flat Fee Realty agents: Navigating the real estate process can easily become overwhelming. Fortunately, working with our experience team of professionals means buyers and sellers will get the advice, feedback, and answers they need to make informed decisions. Everyone appreciates our Flat Fee Realty agents, who have a wealth of experience and expertise. 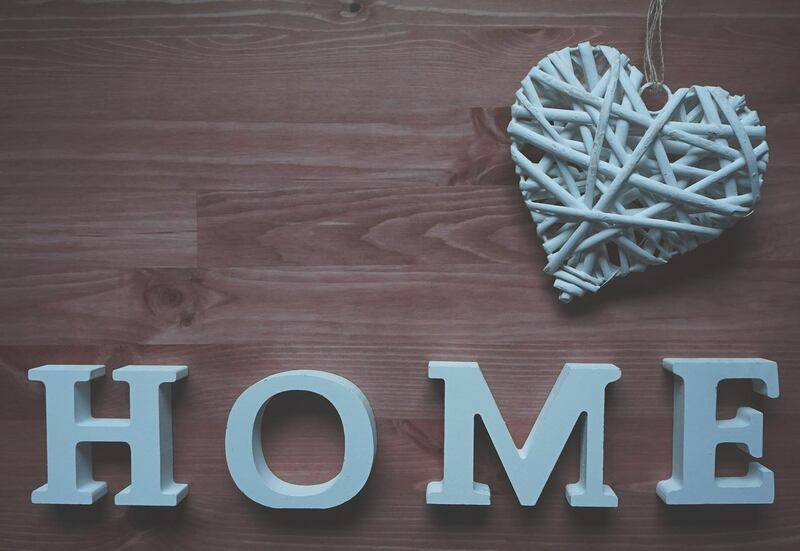 Stay organized and clutter-free: Always, consider where belongings will go when buying a new home, and pack and label possessions accordingly for the move. Although people may rearrange a few things as they settle into their new home, packing boxes with an idea of where they should go will make unloading and unpacking less intimidating. The moving process is also an excellent time to donate, sell, or dispose of unnecessary and unused items that are simply taking up space. Preparing to sell or buy is the perfect time to reduce clutter in a home. Enlist the help and support of many: From packing, to loading and unloading boxes and furniture on moving day, buyers and sellers should reach out to others. Request the assistance of friends and family if they live nearby. Otherwise, professional movers are also a great option. Buyers can ask their trusted Flat Fee Realty agent for recommendations to ensure their movers are experienced and will handle every one of the possessions with care. Having help on moving day will literally lighten the load of moving. While the process of buying and selling a home in North Carolina can be stressful, there are ways to minimize that stress. Work with our experienced real estate agent, stay organized, and enlist the help of others. Ready to get started? Contact a Flat Fee Realty agent today! It’s late November, and the holiday season is in full swing. Thanksgiving has arrived and all of the holiday favorites line the end caps at the grocery stores. Holiday music serenades the most harried of shoppers. Even our street lamps are starting to get into the holiday spirit; many of the lamp posts are already dressed in green pine with festive red bows. While many of us across the Carolinas look forward to the holidays, we also can be intimidating by the thought of relocation and home selling. Fortunately, at Flat Fee Realty, our agents have experience with selling homes in the Triangle, Wilmington, Charlotte, and Lake Norman this holiday season and all year long. 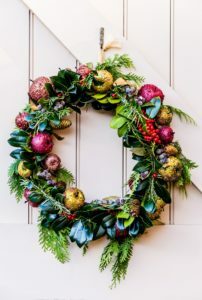 Don’t neglect holiday curb appeal: As the bright colors of summer and fall foliage fade to wintery browns, a home’s exterior may be less vibrant than it is in spring and summer. Maintain curb appeal and attract buyers by keeping a neat lawn. Rake the leaves and keep bushes and grass trimmed. Additionally, there is less daylight at this time of year. For buyers looking at houses after dark, homes without sufficient exterior lighting may look less appealing. Make sure prospective buyers see sufficient outdoor lighting for that perfect view. Finally, don’t overcrowd the home’s exterior with too many decorations and holiday lights; use just enough to enhance the beauty of the home, especially at night. 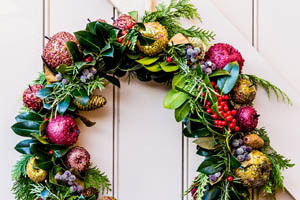 Keep seasonal decorations simple and unique: Outdoor holiday décor is important this time of year, and indoor decorations should be planned as well. Too many decorations can clutter featured rooms like the den and the dining room. When in doubt, check with our experienced Flat Fee Realty agent to ensure the decorations are adding to the home’s appeal. Work with an experienced Flat Fee Realty Agent: Working with our team will ensure every home is listed at a price that will attract buyers (without sacrificing the value of a seller’s house). Our professionals utilize MLS and other online resources which makes it easier for buyers to find a seller’s listing. While Christmas and New Year may be intimidating times to list a home, there are several ways in which sellers can maximize the potential of their listing, especially during a time when there is less competition. Ready to list a home? Contact one of our experienced Flat Fee Realty agents to get started. This post on selling and buying a home during the holiday season in the Triangle, Wilmington, Charlotte, and Lake Norman is brought to you by the team at Flat Fee Realty and is intended for informational purposes only. 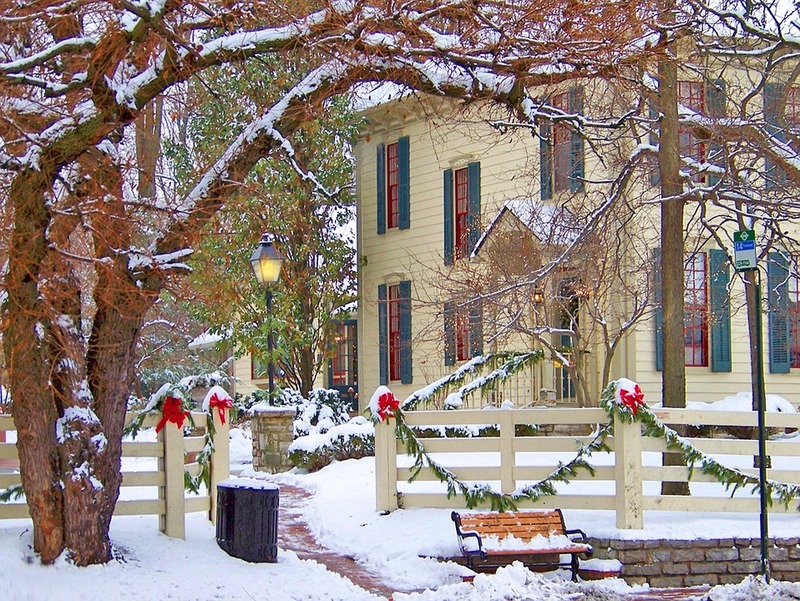 Always have a game plan before putting your North Carolina home on the market; Flat Fee Realty offers five suggestions that will help boost curb appeal and possibly increase the selling price as we head through the Holiday Season. Working with an experienced Flat Fee Realty agent in Lake Norman, Raleigh, the Triangle and Wilmington is a great way to get input on what improvements can be made. From suggestions about lawn care to how to stage furniture, our team is adept at preparing a home to sell. Spruce up the landscape: Curb appeal with be the first attraction to catch a buyer’s eye. Make sure the mailbox is visible and not overgrown, replace faded or missing house numbers. Clean the yard of fall debris and add some color to the entrance way for great first impressions. Replace or clean carpets: Unless the carpets are already new, they are likely holding lots of dirt and odor. A thorough clean or a fresh carpet throughout the house will revamp the entire space and impress potential buyers. Small or partial renovations: Instead of investing in complete overhauls, consider taking on smaller projects such as replacing appliances in the kitchen or updating countertops in the bathrooms. 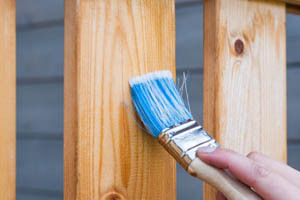 Fresh coat of paint: Many homes are bound to see scruffs and paint chips on the walls, so fresh layers of paint will do wonders to brighten up a space. Also, consider painting neutral colors (builder beige for example) over all existing walls to further appeal to buyers. Update lights and plumbing fixtures: New faucets and sinks will dramatically change the feel of a space, so consider that for a simple project. Updating light fixtures is also a less intensive way to increase home value and buyer appeal. For more insight regarding home improvements to increase home value, contact our agents at Flat Fee Realty today. We’re happy to help during each step of the listing, selling, and buying processes! It’s Thanksgiving! 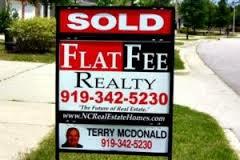 And Flat Fee Realty NC is expanding. 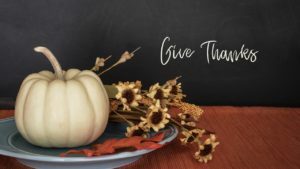 We are grateful because we are growing not only in the Triangle NC, but in coastal Wilmington and Lake Norman as well. Regardless of where we have growing presence, we are committed to our buyers and sellers! It is important to share that many first time home buyers and sellers think that all real estate agents are about the same, with similar qualities and duties. Yet there is a difference between our FFR agents and others across the Tar Heel State. Our top goal is the client’s best interest. Now, how do buyers and sellers in the Triangle find and choose the right agent? We only ask potential clients to do a little homework. Our real estate experts at Flat Fee Realty know just what to look for and we want to share the most important factors to consider when choosing an agent. Open Communication: Agents are required by law to have a client’s best interests in mind, and to put them first. Every agent who values open communication is sure to embrace this important principle; our team clearly and fully explains pricing, strategies, and market trends. Flat Fee Realty agents are always upfront with any hurdles or challenges that may arise. Also, since buyers and sellers will be working closely with our agents, it’s best to have an established relationship built on trust formed through open communication. Key regions Flat Fee Realty NC covers: Buyers and sellers interested in residential real estate likely won’t find much value in an agent who does not know residential markets. The internet has also given our agents more access to larger territories, and we have the valuable knowledge of neighborhoods and popular areas that our potential clients want and need. Quality references: Our team offers client testimonials and other references available for review. Buyers and sellers should take advantage of our references when possible because no one can attest to an agent’s quality as well as a previous client. Be sure to ask specific questions when conversing with references so they will provide adequate details. It might take some patience, but the best real estate agent is in the Flat Fee Realty NC team. Call and meet us to ensure a great fit. Want more about us? Click Flat Fee Realty today! 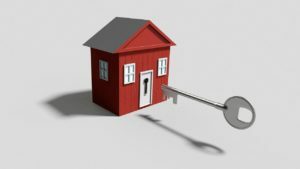 This real estate blog post on selling and buying a home in North Carolina is brought to you by the team at Flat Fee Realty LLC and is intended for informational purposes only. 4 Strategies from the FFR Playbook Before Buyers Say YES to the House! Buying a new home is very exciting, especially in the Triangle, Lake Norman, and Wilmington. The North Carolina real estate market is growing and improving every day, creating a high percentage of happy homeowners. While this is an exciting time, saying “yes” to the house is a big decision. Flat Fee Realty knows that there is a proven process to finding the perfect home and that is how we help homebuyers across North Carolina. Layout and design: Homes are unique. The potential homeowner has to decide on the style of home, whether it be a traditional single-family home, a townhouse or even a condo. Each home has a different style and everything should complement the owner’s wants and needs. Cost: Buying a home is one of lifetime’s biggest financial decisions. It is vital to make sure that all monies are in order to buy a home; finances are essential to determine what the potential buyer can afford. Remember to include the expenses for furniture and any home improvements. Neighborhood: The location of the home and choosing the right neighborhood are very important. The ideal location of the home depends on the owner’s specific needs (job, shopping, activities, schooling) It is good to have an idea of the ideal location and neighborhood to avoid any future regrets. 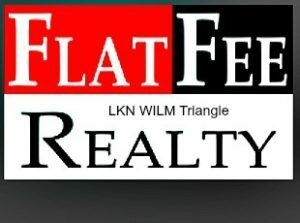 Flat Fee Realty NC: Every neighborhood and home has a unique quality. Our team of agents are well-informed about the popular area and neighborhoods and know what homes are priced right and a great fit to the regions we serve. Our professionals are guides to potential homeowners and we can ease the stress of finding the perfect home. Autumn is a great time to buy a home! If it feels like it is the right time to move, give us a call. Flat Rate Realty NC is the perfect guide for today’s market. We are the future of real estate. Contact the team at Flat Fee Realty today for more information. Look for our new locations in Wilmington and Lake Norman/ Charlotte.